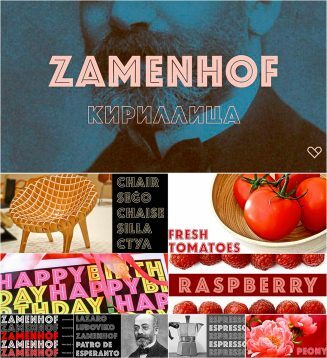 Zamenhof is a family of five fonts that can be used singly or in combination to create a variety of bold, yet elegant, display styles. Comes with cyrillic typeface. Tags: cyrillic font, geometric font, inline, modern, poster, sans serif.